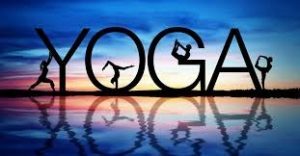 Christopher Borton is offering a 6-Week Yoga Course in Whitehall at the Borden Hotel, 101 W. Legion starting January 3, 2017. The course runs Tuesdays Jan. 3-Feb. 7, 6:00-7:30pm. New and returning students are welcome! The Hatha Yoga class is designed for the beginner and intermediate student and will help increase flexibility and strength, as well as offer techniques for deep relaxation. Chris is director of Sage Mountain Center, yoga certified through the Sivananda Vedanta Center, and he has been providing yoga instruction for over 25 years. For more information please email smc@sagemountain.org or call 494-9875. Space is limited.